The combination wrenches in this 10 piece set are precision broached for a tight and secure fit. The jewellery-like mirror chrome finish provides outstanding corrosion resistance as a result of our proprietary in-house plating process. Made in Canada and backed by Gray Tools hassle worry-free lifetime warranty. Contains Sizes: 6, 7, 8, 9, 10, 11, 12, 13, 14, 15mm. 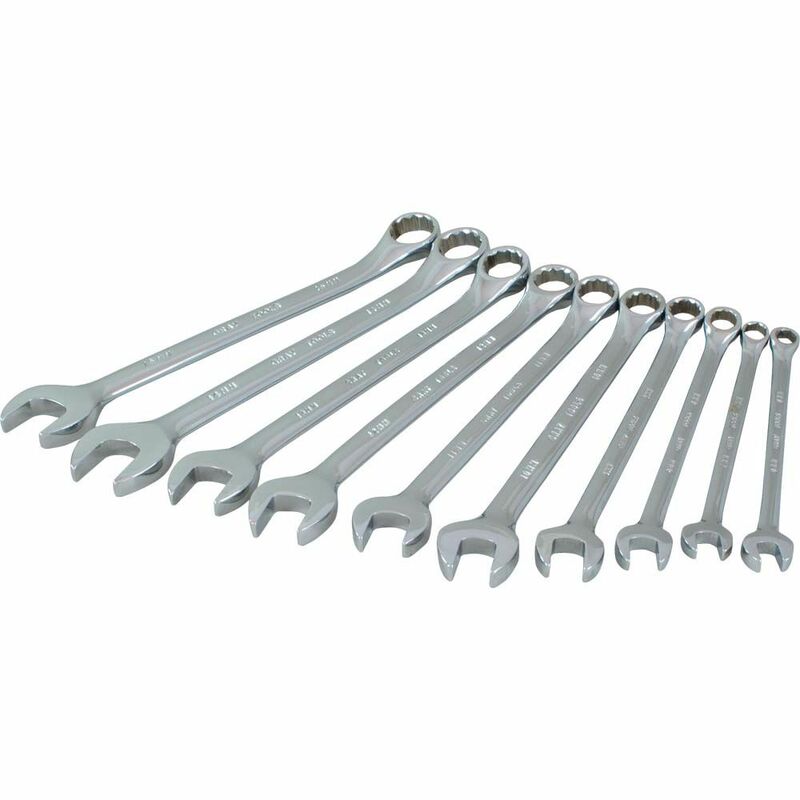 The 5 Piece Full Polish Offset Double Box Wrench offers a variety of offset double box wrenches for any user need. These wrenches have two sizes per wrench to provide more options with less to carry. These wrenches have DirectTorque; technology to help prevent rounding of fasteners during use. This non-slip strap wrench set is perfect for virtually any job around the house or at work where you want to hold material tight without scratching it. The super tough strap made of reinforced rubber grips and holds a variety of shapes that standard clamps can't. In addition, the ergonomic frame made from robust polycarbonate makes tightening and loosening the straps fast and easy. This 2-piece set can clamp materials up to 4 inch and 6-3/8 inch in diameter, respectively. 10 Piece Metric Combination Wrench Set The combination wrenches in this 10 piece set are precision broached for a tight and secure fit. The jewellery-like mirror chrome finish provides outstanding corrosion resistance as a result of our proprietary in-house plating process. Made in Canada and backed by Gray Tools hassle worry-free lifetime warranty.